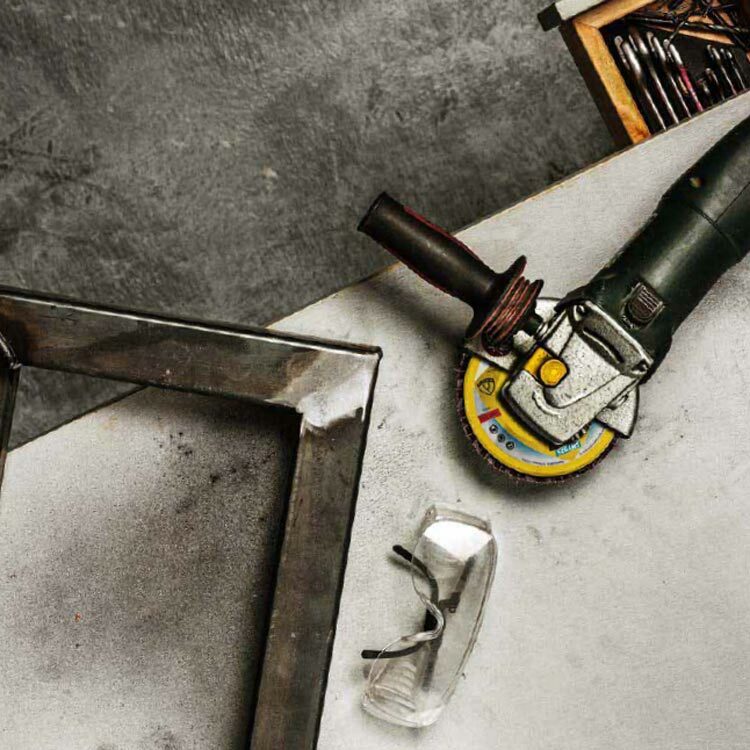 In the selection of the most suitable product for your application, it is important to understand the different components of coated abrasives and how they affect the performance, efficiency, and applications. This section is a basic guide on the different terms, terminologies, definitions, and explanations of different coated abrasive components. You may go to any section by clicking the link below. Coated abrasives are in contrast to bonded abrasives, which are abrasives made by bonding abrasive grit together without the use of a backing. 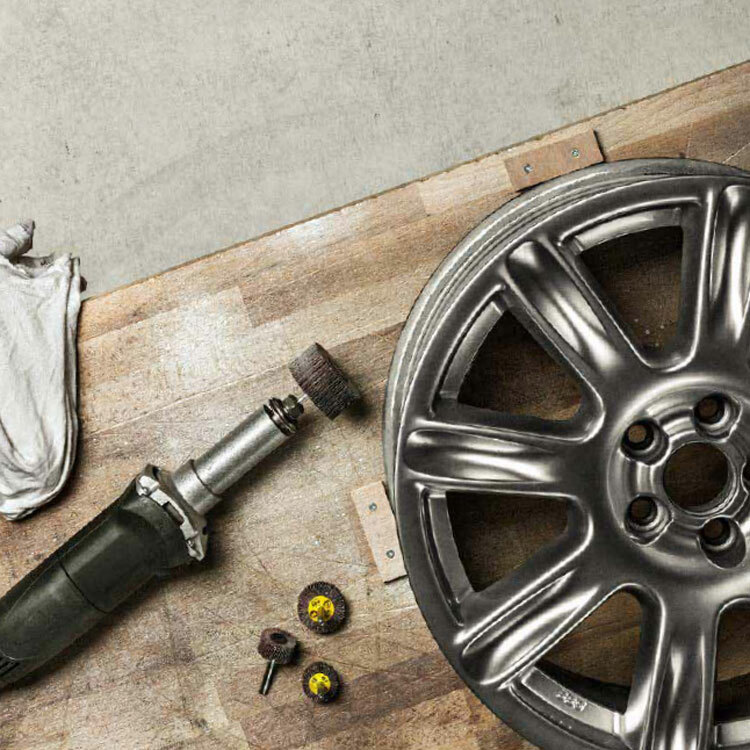 Bonded abrasives are most generally cutting-off wheels and grinding discs. The grit is responsible for stock removal. Grit can be made of different grain types. When selecting the correct grain, two properties are particularly important: Bond and Toughness. In addition, there are also so-called grit agglomerates. This is not an independent grit type, rather it is a grit agglomeration, which is comprised of many individual aluminium-oxide or SIC-grits mixed with a resin bonding agent, which together form a large grit. The advantage of agglomerates is that they provide an even finish from the first use to the last. Dull grit breaks off from the agglomerate and creates space for new, sharp grit. The objective is to attain an even finish through continual stock removal and an extremely long service life. Agglomerates are only used on belts. The grit of the abrasive indicates the size of the grain used on the abrasive paper. The Federation of European Producers of Abrasive’s (FEPA) fixes the values of the grit classification. The smaller the number the coarser (and larger) the grain, and the rougher the surface finish. Klingspor uses FEPA’s P standard for grit sizes, which ensures a uniformity of grain size in its scale. This is why Klingspor’s products have their grit numbers prefixed by a P.
Throughout this website, product details will feature the above table for coated abrasive products, which shows available grit numbers for the specific product. Generally, any grit number that is unavailable for that product will have the grit number greyed out. 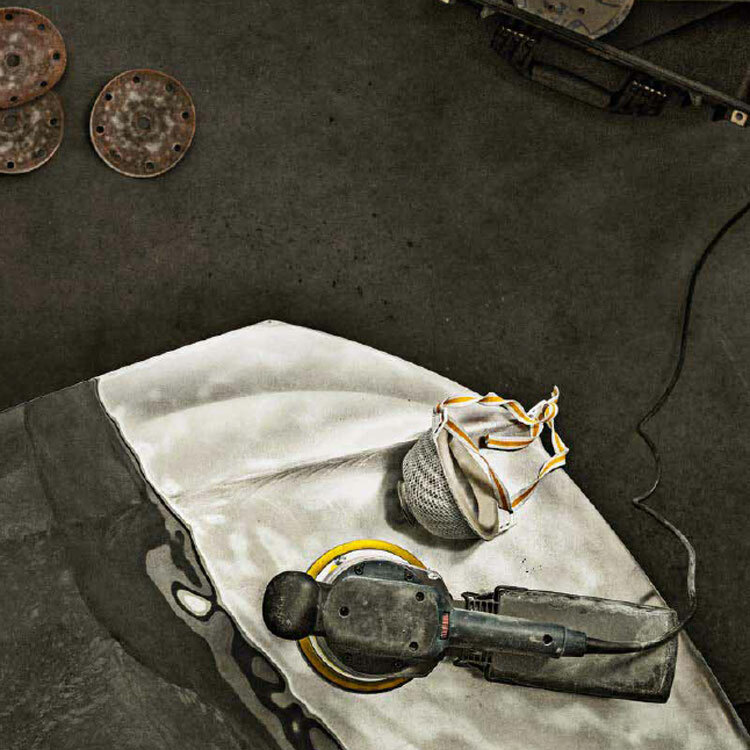 Klingspor offers abrasive products from grit 16 all the way up to grit 2000 for all materials and almost every desired grinding, sanding, and polishing results. Paper backings are low-priced and mainly used for applications placing low requirements on strength (finish grinding). Paper is grouped into different categories ranging from A (very light) to H (very heavy) based on its mass per unit area. Cloth backings are notably more robust than paper backings and are, therefore, used more commonly in applications that require a higher level of tear resistance, e.g. stock removal grinding or profile sanding with abrasive belts. Klingspor, again, offers a comprehensive selection ranging from light, highly flexible cotton backings to heavy, highly tear-resistant polyester cloth, e.g. for stock removal grinding. “Flexing” is defined as the finishing treatment that needs to be given to freshly produced abrasive rolls before they can be processed further into abrasive belts, abrasive sheets, abrasive discs, etc. In the manufacture of coated abrasives, abrasive grains are applied to a flexible backing made of paper, cotton or plastic blended fabric and fixed in place using adhesive (bond) and a special varnish (size coat / top binding). Due to the hardness and brittleness of the top binding, the abrasive is brittle and fragile right after its manufacture and not suitable for immediate use. It is therefore important to flex the abrasive rolls. During the subsequent flexing process, the abrasive is pulled across a so-called flex shaft several times at different angles. This process defines and breaks up the geometry of the size coat layer, thus giving the abrasive the flexibility necessary for further processing and use. Coated abrasives are coated with different grit coverage densities. The term “grit density” describes the grit coverage density distributed on the backing. Open coated grit has a large space between the individual grits, such that the stock removal and the grinding dust can be extracted more easily from the grinding surface. This prevents premature clogging when working on long-chipping materials, such as e.g. wood. 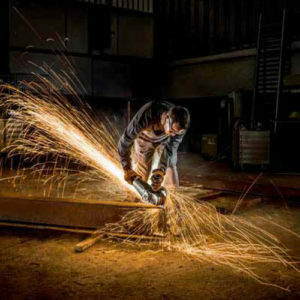 The decision as to which grit density to use is primarily dependent upon how great the likelihood is that the grinding dust will clog the space between the grits. The size coat supports the base coat in the anchoring of the grit on the backing and against forces which affect the grit during grinding. 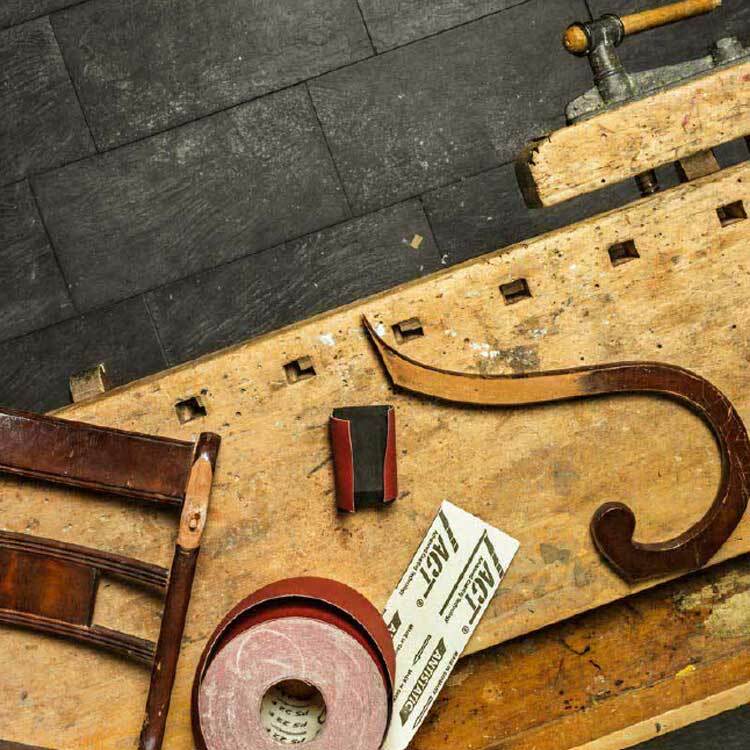 The cover bonds are produced exclusively from resin and also provide the product with its typical colour (exceptions are coated abrasives with additional coatings). Special coatings with grinding aids provide the grinding tool properties that positively affect the grinding process and extends the service life of the coated abrasive. Special coatings are applied as an additional layer. The stearate on a coated abrasive prevents the clogging and loading of the belt and is specifically suited for high quality varnish surface applications. 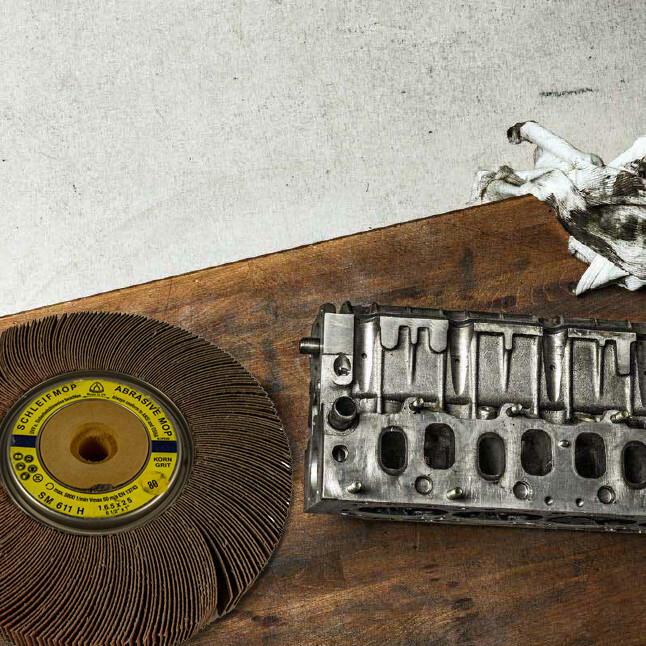 Paints, varnishes and plastics can become so and sticky through the heat generated from grinding, this can result in the premature clogging and loading of the belt. The dust clogs the space between the grits and this can result in additional “negative bond”. This clogs the grits and the sharp edges are no longer effective. To prevent this from happening or to slow the process down, the coated abrasives can be coated with a non-stick material, called stearates. A multibond is an additional coating for coated abrasives, which is applied to the size coat of the abrasive in a separate step of production at the end of the production process. The multibond coating allows the abrasive to provide for cool grinding as the multibond coating will evaporate at an early stage, resulting in evaporation heat loss. Multibond coatings are primarily used on high-quality abrasives used for stainless steel and high-alloy steels. 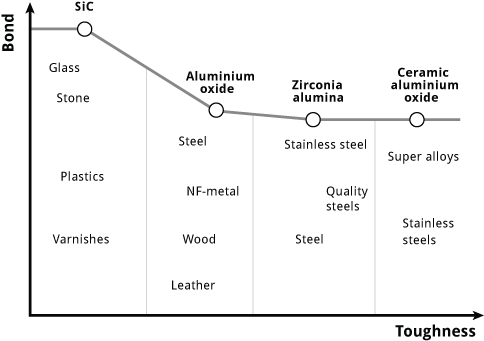 As the evaporation effect produces a significantly lower temperature, the processed material will stick to and “vitrify” the grain point to a much lesser extent. A multibond, therefore, allows for stock removal rates and service life levels that are greater than those in conventional abrasive and can be clearly measured. Multibond also prevents or significantly reduces the heat-induced discolouration (heat tint) of the tool, which is a typical occurrence during stainless steel grinding. 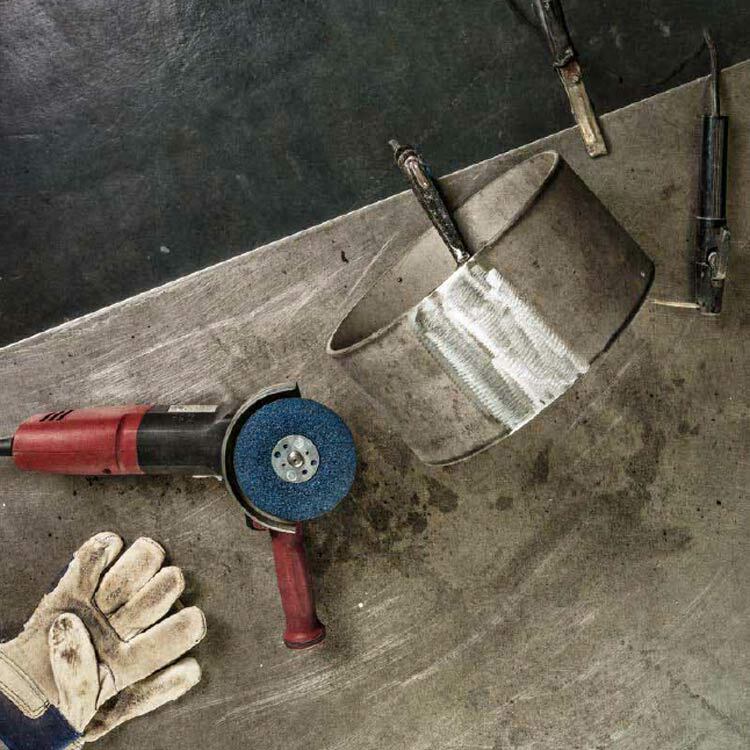 Klingspor offers a wide selection of coated abrasives designed for processing stainless steel that include a multibond that is optimised for the intended application. Klingspor uses this technology to improve the properties of the coated abrasives. When working on metal, ACT provides significantly higher grit adhesion, e.g. for aggressive belt grinding of the edges of punched parts and castings. This significantly increases the life of the grinding belt. 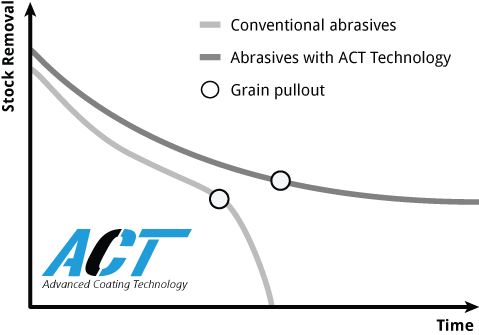 For belts that are used for wood and varnish grinding, ACT prevents the premature clogging of the coated abrasives and significantly increases the service life. 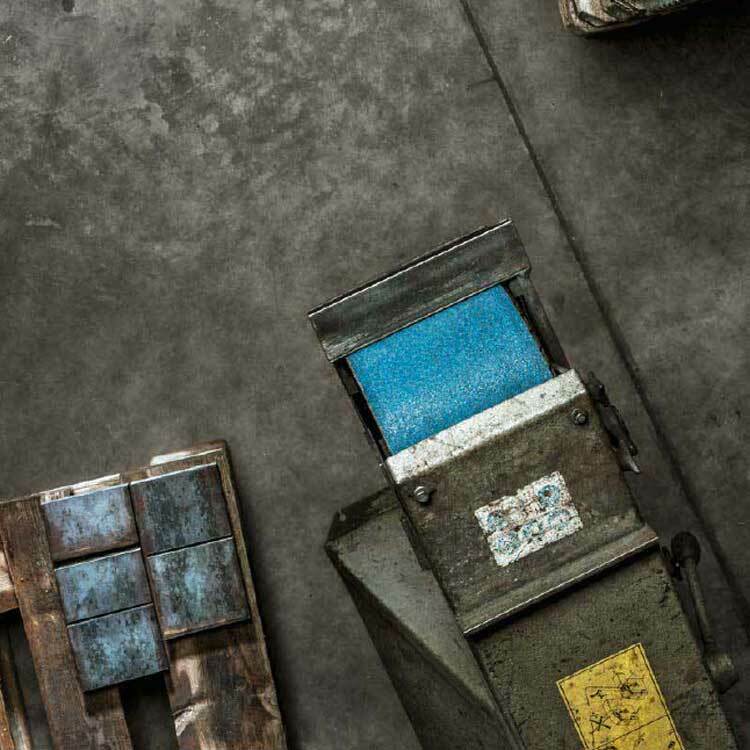 Naturally, all abrasives included in Klingspor’s range of wood finishing abrasives are equipped with an antistatic finish and labelled accordingly in the stamp image on the reverse (“Antistatic”). Some models even include an antistatic finish on the grinding side, in addition to the “basic configuration” where the backing (paper, cloth) is antistatic, as their resin bond is also supplemented with electrically conductive substances (e.g. graphite). 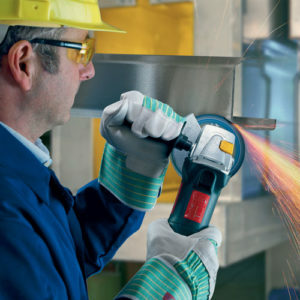 These abrasives offer superior antistatic protection that provides for a nearly dust-free grinding process even under extreme conditions when combined with a suitable dust exhaust system. The information in this page is extracted from the Klingspor Catalogue, provided by Klingspor AG. A copy of this catalogue may be found here. The information is on page 14 – 17. 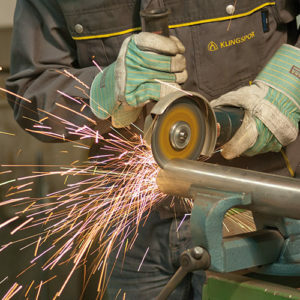 Further information is extracted from Klingspor’s website: Klingspor.de “Lowdown on Grinding”. Text is copyright Klingspor AG, 2015 – 2017.